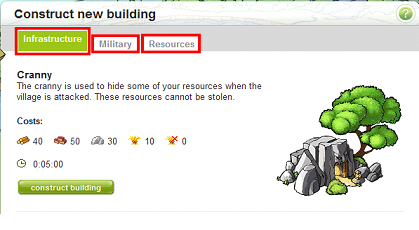 Each tab contains the buildings that you can construct now and the buildings you will soon be able to construct. For example, the cranny is infrastructure, barracks are military, and croplands are resources. These groupings are the same that can be found in the Travian Answers.